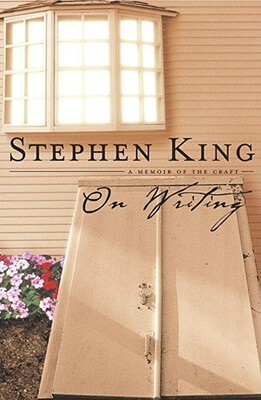 In 1999, Stephen King began to write about his craft -- and his life. By midyear, a widely reported accident jeopardized the survival of both. And in his months of recovery, the link between writing and living became more crucial than ever. Rarely has a book on writing been so clear, so useful, and so revealing. On Writing begins with a mesmerizing account of King's childhood and his uncannily early focus on writing to tell a story. A series of vivid memories from adolescence, college, and the struggling years that led up to his first novel, Carrie, will afford readers a fresh and often very funny perspective on the formation of a writer. King next turns to the basic tools of his trade -- how to sharpen and multiply them through use, and how the writer must always have them close at hand. He takes the reader through crucial aspects of the writer's art and life, offering practical and inspiring advice on everything from plot and character development to work habits and rejection. Serialized in the New Yorker to vivid acclaim, On Writing culminates with a profoundly moving account of how King's overwhelming need to write spurred him toward recovery, and brought him back to his life. Brilliantly structured, friendly and inspiring, On Writing will empower -- and entertain -- everyone who reads it.